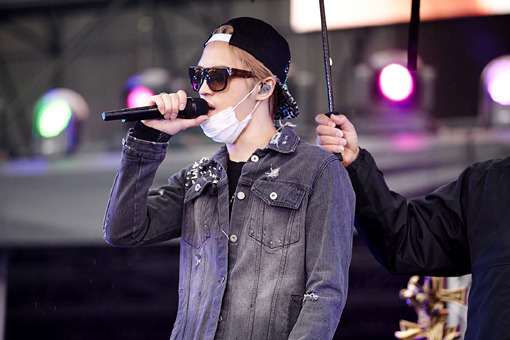 Singer Kim Jaejoong has released a photo from the rehearsal of his Yokohama Stadium concert in Japan. ‘Konayuki’ is a piece by the popular Japanese rock group ‘Remioroman’ that became popular when it was played during the Fuji TV drama ‘1 Liter of Tears’. Kim Jaejoong kicked of his [Kim Jaejoong 1st Album Asia Tour] on the 2nd and 3rd of November in Seoul, and is currently performing in Japan, the second destination of his tour. On the 15th, Kim Jaejoong performed songs from his first album and mini-album, as well as five Japanese songs, ‘Saigo No Ame’, ‘Glamorous Sky’, ‘Konayuki’, ‘Kesho’ and ‘Ultra Soul’, with a live band. Meanwhile, Kim Jaejoong will meet with another 30,000 fans on the 16th at the Yokohama Stadium and will then move on to perform in Taiwan on the 23rd of November.